Like many other great drivers, Nico Hulkenberg too started his career at the go-kart track at a tender age of 10 back in 1997. From the German karting championship as a 15-year-old, Italian junior championship as a 17-year-old, GP2 crown in rookie season till F1 debut for Williams as an 18-year-old it has been a well-trodden path for Hulkenberg. Hulkenberg dominated in his debut Formula BMW in 2005 and went on to win the championship comfortably. Though this title was stripped off him after it was claimed that he had brake-tested his rivals during a safety car period, it didn’t stop him from climbing up his career. With 9 wins in his rookie season representing the German A1 Grand Prix during the 2006-07 season, he not only single-handedly won the championship for Germany but also became the most successful driver in A1GP history. Finished 5th in 2006, 3rd in 2007 and went on to win the Formula 3 Euro Series championship in 2008. Hulkenberg switched from German to Euro Series after 2006 season and joined with the ASM team which had taken Lewis Hamilton to championships back then. Winning the GP2 crown in his rookie season secured his move into F1 racing, as this feat is only matched by Lewis Hamilton and Nico Rosberg. Nico Hulkenberg is one among the handful of recent drivers to compete in the Le Mans 24 hours race amid parallel Grand Prix careers. Not only did he participate but also won in his very first attempt at the epic endurance event, which also happened to be Porsche’s first outright victory since 1998. Nico Hulkenberg on 2nd November 2009 was confirmed to race for Williams in 2010 along with an experienced teammate, Rubens Barrichello. At his maiden campaign, he duly delivered a shock at the Brazilian Grand Prix by taking the pole position, which happened to be Williams’ first pole since 2005 European Grand Prix. After losing his lead spot in the very first lap he ended that race at 8th position. Then he was signed by the Force India as a reserve driver for the 2011 season, went on to confirm his signing for 2012 season as well. For the 2013 season, Sauber signed Hulkenberg just to return back to Force India for 2014 season. Hulkenberg created a huge impact on his return that he was re-signed for 2 more seasons before he was signed by Renault for 2017 season. 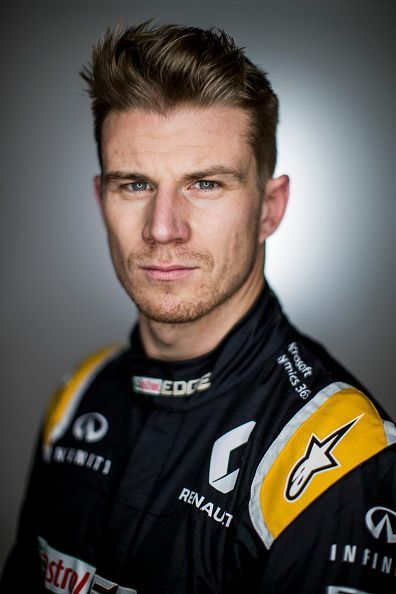 Nico Hulkenberg embraced his role as a team leader at Renault finishing the season at the 10th spot, outqualifying his teammates 43-14 over the course of the season. Despite no podium finishes and just a single pole position finish to his name, for many in the Formula One padlock, Nico Hulkenberg prevails a world champion in waiting. F1 2018: Who will win the Midfield Scrap?